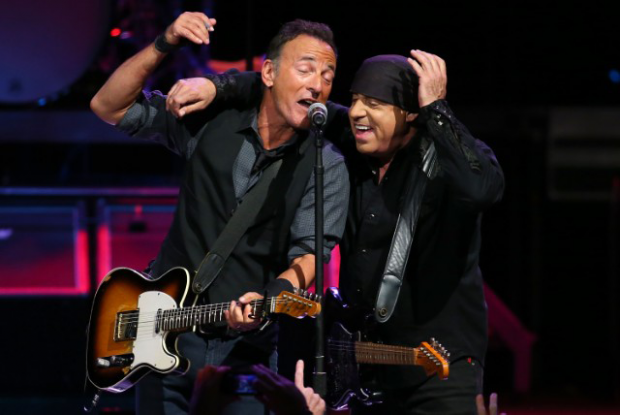 Not only a legendary musician and Bruce Springsteen’s right-hand man in The E Street Band (The Boss was also his best man), Italian-American New Jersey icon Steven Van Zandt has accumulated an impressive resume in his lifetime. Producer, director, writer, composer, activist, DJ, historian, teacher and, of course, actor – having starred in the seminal HBO series The Sopranos. He helped create the “Jersey Shore” sound with the Asbury Jukes in the 70s, and also fronts his own band, Little Steven and the Disciples of Soul, which he has reformed after a 20 year hiatus. He’s bringing the whole 15-piece rock-soul experience to Perth for a show that promises to be special, playing Metro City this Saturday night, April 13. ALFRED GORMAN, speaks to the legend down the line from New York City about his amazing life, musical career, acting alongside James Gandolfini, writing songs for Jimmy Barnes, the educational power of music and why teachers get into his shows for free. In 2017 Van Zandt found himself with some spare time for the first time in a long time after The E Street Band finished touring. 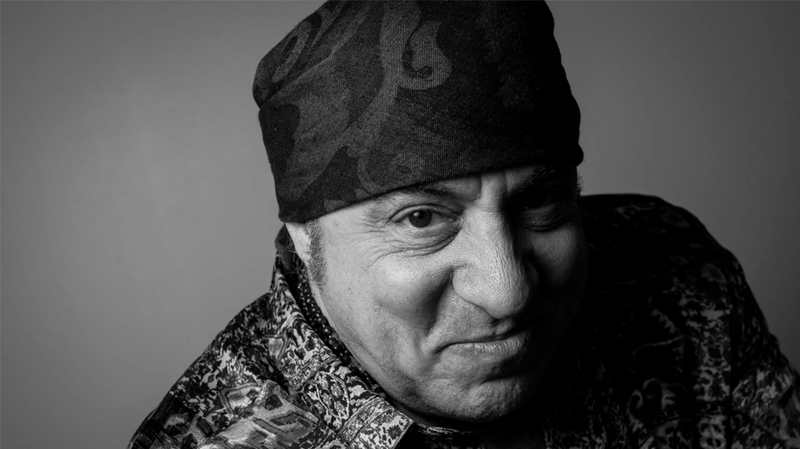 Springsteen went on to do a Broadway show, and Van Zandt finished up working on Lilyhammer (the TV show he wrote, directed, scored and starred in after The Sopranos, about a mobster living in witness protection in Norway). So being the workaholic that he is, he decided to put together another band of Disciples and go on tour. They recorded an album, Soulfire, a collection of songs Van Zandt had written over his long career for others, and some classics from the American songbook. 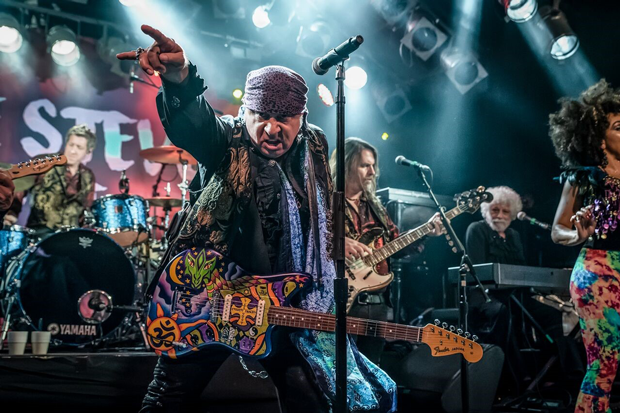 Rolling Stone placed it in their Best Albums of 2017, and the success inspired Van Zandt to tour more, and release a live box set, appropriately titled Soulfire LIVE! as well as record an album of all new material Summer of Sorcery, out in May. Oh yeah! I just wanna play as many places as I can when I come down there. The suggestion was to leave out Perth and I didn’t want to do that. That’s ridiculous. I don’t get down there often, so when I do, I want to play to as many people as I can. You certainly did that with Springsteen in recent years – after a long absence, you played many huge shows across the country. I saw you with my mom, who is also Italian-American from New Jersey, plus a big fan of your work and the reason I am too. We had such a great time – they were such amazing concerts! Oh really? Yeah it was wonderful. I just love being there. And from that moment I’ve been trying to get back down there with my band, and finally we’re on our way. It will be the first time I’ve been down there with my band. It’s been about 20 years since I’ve toured and put out a record, but I think the material has held up well and there’s a value to it. It’s quite unique, y’know, this kinda rock-meets-soul thing that I do. And we’re bringing the full 15 piece band, which is not often you’ll see something like that – we have 5 horns, 3 backing singers… I don’t know how to do things halfway! A couple years ago you released Soulfire – your first album in 15 years. It’s kind of a compilation of songs, some you’ve written for others across your career, like Southside Johnny, and other classics from the American Songbook, like Etta James and James Brown. I was surprised to even hear at the end Ride The Night Away, which of course all Australians know as a big hit for Jimmy Barnes. I didn’t realise you wrote that… it must have been fun to revisit these songs with a new band? Oh yeah, I wrote that for Jimmy, and it was such a nice surprise to have it be so successful, so I wanted to include that. It was really fun to do the album, because I realise I write really differently for other people, and that was really the inspiration for the new album coming out in May. I wanted it to be different to my records from the 80s, which were all very autobiographical and political. I wanted to get away from both those things. I was very political in the 80s when things were all very hidden and I wanted to shine a light on things, but now it’s all very open and upfront, so I think people need a break from the politics, and they can come and just enjoy the music. When you were younger, one political issue you did some great work to shine a light on was apartheid in South Africa. Can you tell us a little bit about that experience? Yeah it was important back then. Nobody knew about what was going on in South Africa in America – so we did the Sun City project, where I got 50 artists together to write this protest song, and we actually helped to topple that government. We helped to put pressure on to get the economic boycott, and then once the banks cut them off they had to let Nelson Mandela out of jail. After releasing Soulfire you embarked on your first tour with your band in 20 years – did it just seem like the right time again? What was it like after all that time to be touring with your own band again? Yeah well Bruce was doing his Broadway show, and someone happened to ask me to put a band together to play a blues festival in London. I said, I haven’t done that in about 20 years! But yeah, it seemed like the right time to try it, and immediately after that show we decided to record an album. And that was a great transition, because I wasn’t ready to write a new album, so I did all these old songs and covers. Then by touring that for a full year, I really had a chance to absorb my own music again, and that stimulated the new album. So it’s been a really great, productive couple years. Very satisfying. It’s actually the first time I’ve ever done two songs in a row with the same band! I’m really locked into this sound and I’m gonna stay with it now. So I’m very proud of the new album. You’re credited with being a big part of creation of the “Jersey Shore” sound with Southside Johnny and the Asbury Jukes in the 70s, through to your work with the E Street Band and the Disciples of Soul. It’s a sound that was very influential and can be traced through other mainstream proponents like Bon Jovi. What defined the Jersey Shore sound for you? Mostly with Southside Johnny it was rooted in that soul music meets rock ‘n’ roll thing, which was a unique combination. We didn’t quite realise that we were reinventing what a bar band was, but that’s what we did – we changed the entire sound of the New Jersey shore by adding the horns and having that rock-soul combination, which no one had done before, and it spread like wildfire. And those roots took different directions – Bruce went in the more rock direction, Bon Jovi went in the more pop direction, Southside stayed more in the soul, and I’m kind of a combination of all three. Yeah, I never intended to be an actor. I never thought about it really. Chase saw me do a rather comical induction of The Rascals into The Rock And Roll Hall Of Fame and that got his attention. But he was a fan too of The E Street Band. He saw us as the rock and roll Rat Pack, with Bruce as Sinatra, me as Dean Martin and of course Clarence as Sammy Davis on steroids. So he called me up and asked if I wanted to be in his new TV show. And I said, well that’s awful nice, but no thanks, I’m not an actor! But he said, yes you are, you just don’t realise it yet. So I had nothing better to do, I went down there and became an actor! And I tell you what, I couldn’t have gone to a better acting school. 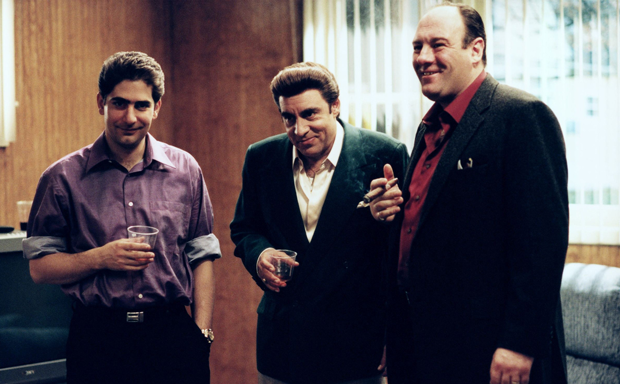 I’ve said many times, you do a scene with Jimmy (James) Gandolfini and you walk away a better actor. Sil’s relationship with Tony was one of the best things about the show to me. Gandolfini was incredible. It’s so sad he’s no longer with us. What was it like working with him? Amazing. He was an amazing guy. Aside from being one of the best actors ever… I mean it’s such a tragedy, he was just getting started. I miss him every day. And the industry misses him, because he would have just added one great role after another. He was so extraordinary… I was very lucky. So I took that one new craft and took it into Lilyhammer and turned it into five new crafts, because I co-wrote that show and co-produced it, acted in it, wrote all the music, and directed the final episode, which was Bruce Springsteen’s acting debut. I got him to play my brother. Can you tell us a bit about your TeachRock Musical Education Project? Yeah sure. Teachrock.org is a music history curriculum. We have a 150 lessons online and they’re all free worldwide. We’ve found a new way to teach kids for teachers who have trouble getting this generation’s attention. We ask them who their favourite artist is, and then we trace back the musical history. So we put aside 400-500 tickets for teachers to come to our shows for free with a friend, as a way of saying thank you for what they do. All they have to do is register with Christine@teachrock.org or on the website and come down before the show for a workshop about how the curriculum works.